Moby1‘s stylin’ XTR is a modern spin on the classic 50s Teardrop Trailer, incorporating new technologies and an array of cushy amenities. 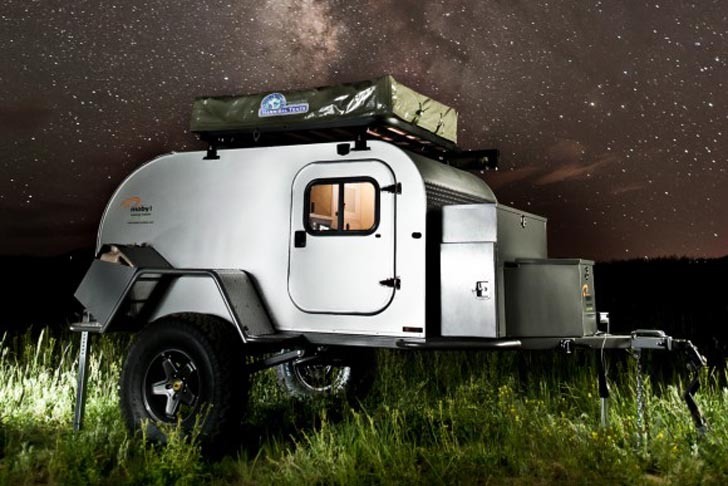 Lightweight, small, and quite comfortable, these camping trailers include a roof top tent, space for a real mattress, running water and solar panels. Built to be a modern and mobile micro-home, the XTR has everything you need to live it up in the wild. The Moby1 includes a variety of models to choose from, but their XTR micro-home really stands out with its extra cargo space, a flexible load-carrying platform, and a meal preparation and cooking station. A fully self-contained unit, Moby1’s XTR will bring people closer to nature in a luxurious and stylish way. Moby1's stylin' XTR is a modern spin on the classic 50s Teardrop Trailer, incorporating new technologies and an array of cushy amenities. 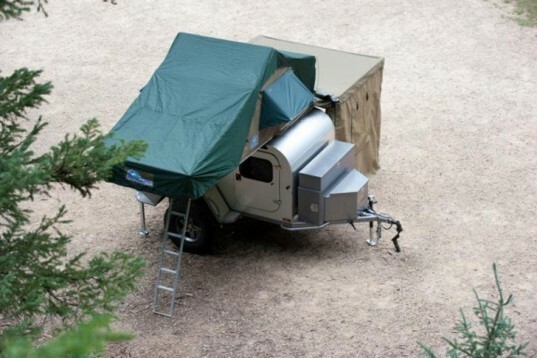 Lightweight, small, and quite comfortable, these camping trailers include a roof top tent, space for a real mattress, running water and solar panels. Built to be a modern and mobile micro-home, the XTR has everything you need to live it up in the wild.